So you want to know how to blog! So you want to learn how to blog? Whether your intent is to share your life with family and friends, or you need a job, or you want to make a little extra money, there are things you are going to need to know get started You can make a living from blogging full time or supplement your finances doing it part time. I make a good living at it, but (there’s always a but) I’m being totally honest with you, there are no overnight successes. Blogging is not a “get rich quick scheme”. It will take you about a year, or possibly 2, of hard work and devotion before you will see a steady income. When I started my blogging career a 7+ years ago, I was totally clueless. It didn’t take long for me to realize how little I knew about “how to blog”. But that didn’t stop me from jumping right in with both feet! Just like most things in life, I wish I’d known then what I know now (good grief, I sound like my grandmother). I hope by writing these posts on blogging that I can save you from some of the mistakes that many beginning bloggers make and get you on the right path to blogging success from the very start. Don’t rush! It takes time to learn how to blog! Take your time and learn how to blog the right way and develop good habits right from the beginning. In the long run, it will save you time and you will not have to undo errors you can make by moving to fast. I wish I had slowed down a bit in the beginning. But I was so excited that I jumped in without a clear focus and a definite long range plan. For that reason, I am still undoing mistakes I made in my first 6 months of blogging. The problem for me now is that it takes time to do those corrections. But I am so busy working on blogging projects in the present, it is taking a while for me to revisit things from my blog’s past one by one and fix them. You don’t have to fall into that trap. Take the time now to carefully plan your blog so it will look professional right from the beginning and function in the right way so that the search engines will love it. Step 1 – Why do you want to blog? You are now faced with your first big decision and it’s an important one. You need to decide on your intent for your blog. The first question to ask yourself is “Why do I want to blog?” Is your purpose just to let friends and family know what you and the kids are up to? Is your intent to educate or enlighten people about a particular cause or subject that you are passionate about? 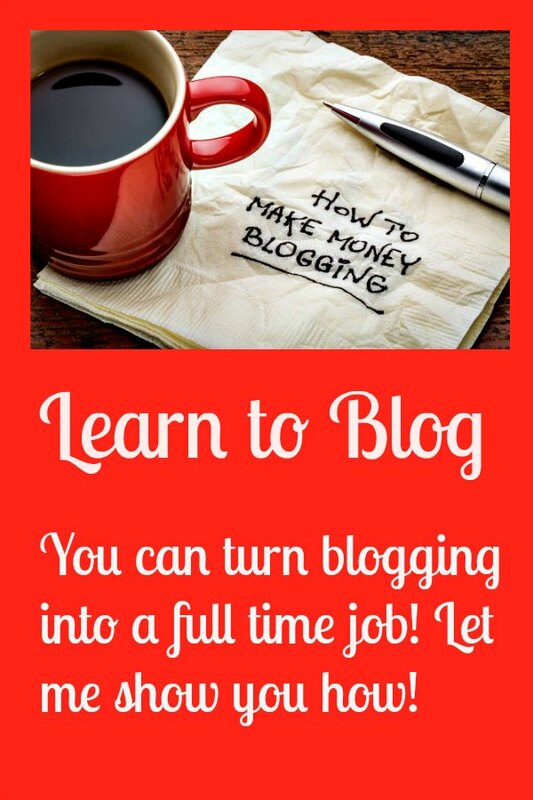 Is it to give yourself a job, to make money blogging? The reason you need to decide these things now is there is a distinct difference in the way you set up a personal diary-type blog and a business/revenue-generating blog. If you are just wanting to touch base with family and friends or make the world aware of your favorite cause and you are NOT going to try to make a living at blogging, you most likely want to keep your expenses down. Doing it as a hobby, you can easily do it for free. You don’t need to think up a great domain name (www.xyz.com) and register it. You’ll have no need to pay for a hosting plan. If you just want to blog about family or a hobby, without any intent of ever doing it for an income-generating living, you can sign up for a free blog on Google’s Blogger platform. Here is the link to Blogger. There is nothing wrong with the Blogger platform for the hobbyist blogger who never intends to make an income from their blog. It is easy to use and well supported. But if you intend to some day turn your blog into a money making venture, stay away from Blogger. Blogger will limit your blog monetization and will have considerable control over your content. Eventually you will have to change to another blogging platform if you want to grow and earn a decent income. If not done correctly, the transition to the new platform will be a blogging disaster and usually results in hiring a professional to do the transfer if you are not tech savvy. If you start with the right platform in the beginning matching your blogging goals, you will save yourself heartache and additional expense. If your intent is to make money and to give yourself a job, I will tell you honestly that you can make a living blogging but it takes time and a lot of work. By all means, don’t quit your day job because it will be a year or more of blogging hard and steady before you see any meaningful financial reward. Blogging is something that you start doing on a part time basis until you have built your blog business to the point it will support you. If your goal is to have a money-making blog, you will have to expend both time and money before you get anything back from it…..for months. That is why there are a lot of people who start to blog with the intention of making money but they give up, discouraged, after a few months. There are no overnight successes in the blog world. It takes a commitment of time and money and if you can’t make that commitment, your are not going to succeed. It doesn’t take a lot of time in the beginning or a lot of money, but it will take some. You will have to pay to register a domain name and for a hosting plan. Do not jump ahead. We will discuss more on this in the next lesson. Step 2 – Know who you are and who you want to reach with your blog? Before you start your blog, you need to have a plan. Asking yourself some questions now and taking the time to think the answers through thoroughly is tremendously important. It’s time to search your “blogging” soul! By doing so, you will develop a clear idea of the goal that you want to reach. Once you know where you are going, you can draw a “map” that will get you there without a lot of delays and u-turns.The reason I asked you to consider your intent was that right from the start you have decisions to make. Those decisions have a big effect on things like naming your blog, who you use for hosting,your blogging “brand”, and what you will blog about. Let’s figure out what you will blog about first. If you are stuck in a job you hate, you know what a draining affect that can have on you both mentally and physically. So when you choose your blogging genre, don’t choose something that you aren’t passionate for your blog’s subject matter. If you don’t like to cook or never have, don’t start a cooking/recipe blog because that subject seems to get a lot of traffic. Don’t blog about techy things if you don’t know a pixel from a hard drive. Pick a subject that you love and you know a lot about. A successful blog will become an all-consuming part of your life and if you don’t love what you are blogging about, you will be miserable doing it. The blog will never reflect the passion that you need to keep readers coming back. Blogging is all about building a following, a group of people who will relate to what you have to say, come back on a regular basis to read the blog, and tell their friends about it! People will follow you if you can transmit your love and knowledge of the subject to them effectively. Sit down for 10 minutes (set a timer) with a sheet of paper and write down everything that occurs to you about who you are, what experiences you have had, the places you want to go, what you love, things that you wish you had the time to do and what you know a lot about. Literally put yourself on a piece of paper. Let the list sit for a day. Now take the time to thoroughly study the list. Is there any one thing that jumps out at you? Is there any subject that you have mentioned more than once, more than twice? Is there a subject that excites you so much that you love to talk about it all the time? Now you don’t have to narrow it down to one subject if you have 4 or 5 that you truly love and are knowledgable about.There are people who love food and will choose to be a food blogger. And people who enjoy building and repairing things might decide to be a DIY blogger. 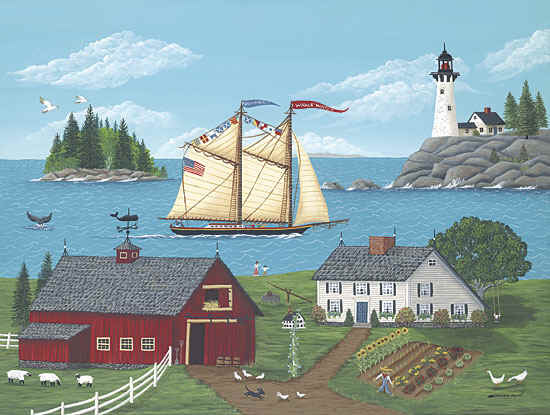 I wish I could have been that focused but I found when I did my analysis that I had 6 subjects that I enjoyed equally – food/cooking, gardening/landscaping, my pets, my art and crafting, DIY, and my home state of Maine. I tried to whittle it down but it was hard for me to exclude any of these subjects. I decided to do a lifestyle blog that emcompasses all 6 subjects. It is hard to treat each subject equally but dependent on the season they provide me with the subject matter to keep my blog varied and interesting for my readers and for me. Now that you have decided the subject of your blog, the next step is to think of a name for the blog. This is a very important decision because with this step you begin ”branding” your blog. “Branding” is defined as creating a trademark or distinctive name identifying a product, service, or organization, and an image surrounding that name. With your intent to be a profitable blogger, you want to start branding your blog right from the beginning so there is a continuity to the entire blog both visually and conceptually. This is not a time for being overly creative. Don’t try to come up with some obscure or cutesy name that only an insider would get the relevance of. Don’t spend hours thinking up some name that is so cool and artsy that isn’t doesn’t obviously relate to the subject matter covered by the blog. You want a name that is easy to remember and spell. Why? A lot of surfing the internet is happenstance. You come across a blog or website accidently, you like it, and think you will remember it. You don’t think to “Bookmark” it on your browser. Three days later you want to look at it again and you’ve cleaned your computer cache so your surfing history is gone. If the name is easy to remember – short and relates to the subject matter it covers – you’ll remember enough of it to search it in Google. You want to have return readers for your blog so make it easy for them to find you again and again. If the name is short, it can easily convert to a “domain name”. Deciding on a domain name is your next step. When I decided on the name “The Wilderness Wife” this is the thought process I used. I live in very remote northern Maine, just on the fringe of Baxter State Park. If you ever saw the Discovery Channel show “American Loggers”, I live where that was filmed, in the middle of the Maine Northwoods Wilderness logging country. 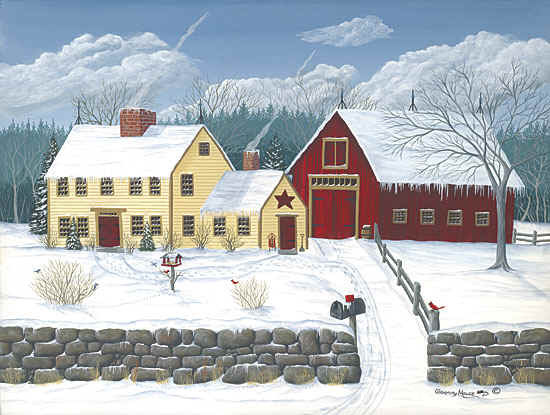 I wanted my blog to be a lifestyle blog where I could blog about a variety of my interests – cooking, arts and crafts, gardening, my pets, and life here in Maine. 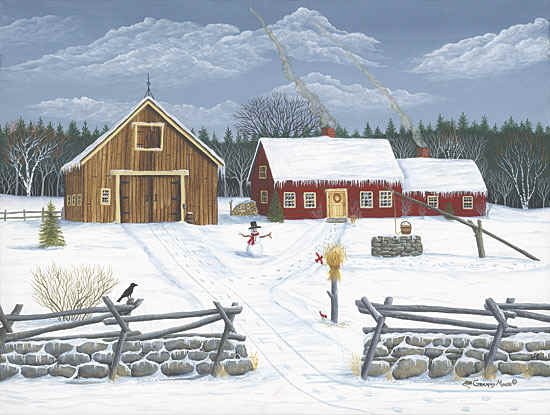 I chose the name “The Wilderness Wife” because my blog is about my interests as a wife and mother, and my remote lifestyle here in the North Maine Woods. Apparently it has been easy to remember as it appears in my search query analytics every month. I know that sites like Etsy, Google, Ebay, Twitter, etc. branded themselves with creative, obscure names but they developed when the online experience wasn’t as crowded as it is now. And they had the funds to get their name out in front of the public often enough that they became household names. I have no expectation that The Wilderness Wife Blog will ever become that big but I am happy with a steady monthly flow of page views and decent search engine positioning. 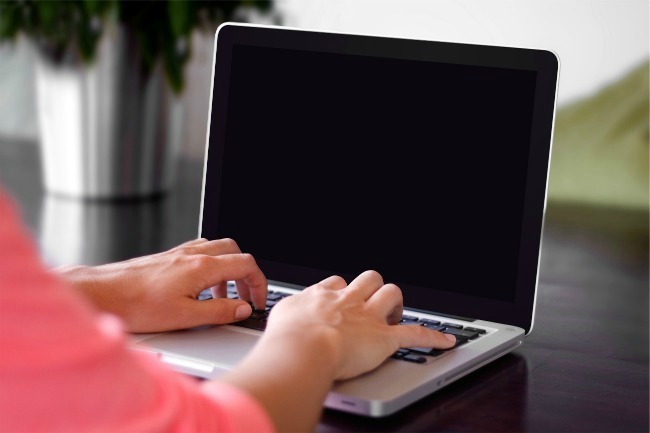 You will need very basic equipment to get started blogging! So you have decided on a topic to blog about and a name that relates to it that is easy to remember. Great, Step 2 is almost done. You’ve officially started and you can call yourself a blogger. The next step is the ability to create content. 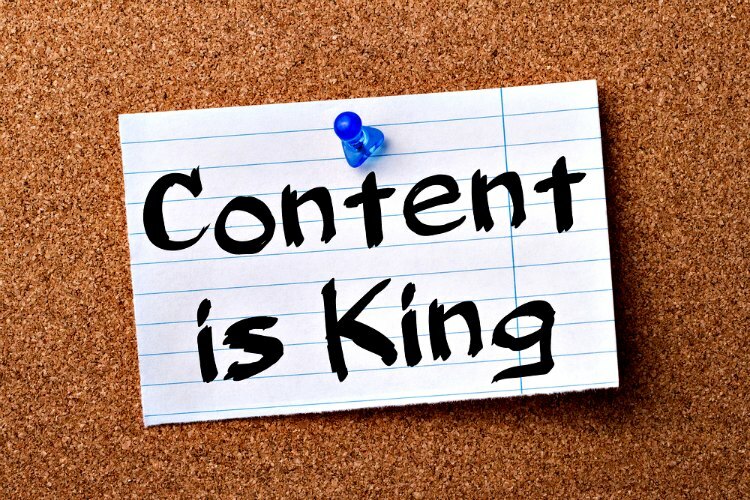 Through your blogging journey you will constantly hear the phrase “content is king.” Content is information whether it is presented as words or as images. It is the material your readers are going to search for on Google and other search engines. Now you need to gather together the equipment and tools to help you create your content. As for beginning equipment, you most likely have everything you need – a computer with an Internet connection and some form of digital camera. Blogging is a very visual medium and needs lots of good pictures to make your blog more palatable to the reader. Long pages of nothing but text can be boring to the average reader and they will quickly move on. If you are blogging about recipes, visitors are going to want to see the finished product. Some subjects require step by step tutorials like this one I did about canning green beans from my garden – Dilly Beans Tutorial. At the time I only had my Canon point and shoot camera to take photos and it did the job. Now I have a Canon DSLR but it took a couple of years of blogging for me to financially justify upgrading to a better camera. Start with the tools you already have; work hard to learn how to use them the best you can; and invest in better equipment when you can afford it. When I started, I had a little flip-phone for my cell, but as time went on and I got more involved with social media, I upgraded to an Iphone. Don’t wait until you can afford all the top of the line equipment you might need, or you may never get started blogging. Start with what you have and add new or better equipment when it becomes necessary and your budget can afford it. Decide on a genre/topic for your blog. Decide on a simple but memorable name for the blog. Practice getting really good at taking pictures with the camera you have now. In the next how to blog lesson, we’ll discuss your domain name, hosting companies and blogging platforms. This will be an important lesson so don’t miss it! Be sure to sign for the mailing list in the sidebar so you’ll be notified when the next How To Blog Lesson is available. 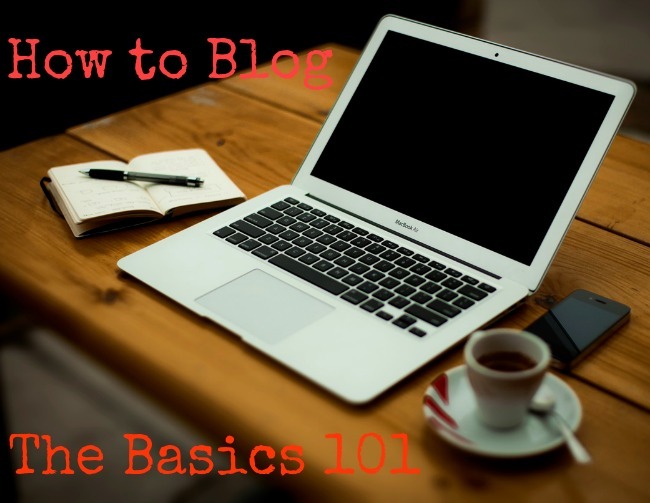 The next Lesson is How to Blog Basics – 2.